Queen Latifah Not Headed To "Dancing With The Stars"
There's no "Dancing" in store for Queen Latifah. She may be a queen, but she won't be crowned Season 13's mirror ball champ on "Dancing with the Stars." 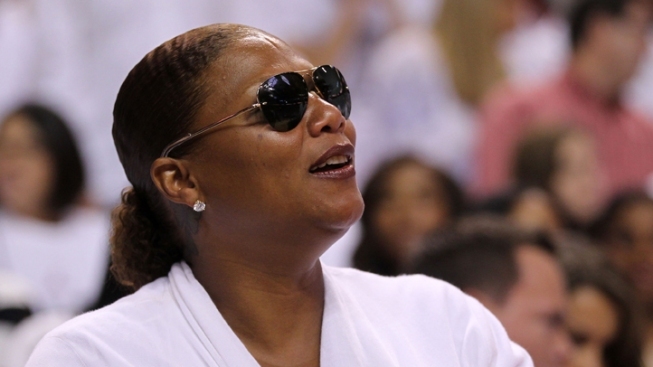 On Monday, Queen Latifah shot down rumors that she is set to join the show's newest cast. "No truth to the rumors of me doing Dancing With The Stars," she Tweeted on Monday afternoon. Latifah said, however, she did plan to watch. "Love the show though so I'll be watching just like you!" she added. As previously reported on AccessHollywood.com, the new celebrity cast of "Dancing with the Stars" will be revealed during ABC's "Bachelor Pad" on August 29. PLAY IT NOW: 2011 ESPY Awards: Are There Two Lindsey Vonns?